Flint rises from the ashes as a high-tech automotive manufacturing center...in Changchun, China. Changchun, the capital of Northeast China's Jilin Province, is speeding up efforts to build a comprehensive auto industrial park. An inauguration ceremony, marking the beginning of the construction of the Everpower Automotive Industrial Park, kicked off recently in the Changchun Economic and Technological Development Zone. Officials from the Changchun municipal government and Jilin provincial government, executives from local auto and component makers and financial institutes, and representatives from auto industrial associations, attended the event. 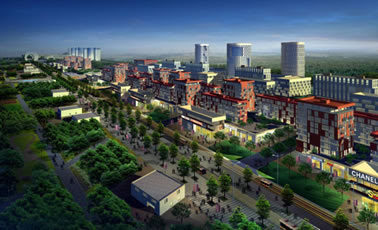 The auto park is expected to sharpen the competitive edge of Changchun, a famous auto city in China. With a total investment of US$300 million, the auto park will cover a land area of 690,000 square metres, focusing on manufacturing special-purpose vehicles and truck chassis. Thanks to Jim Holbel, Haskell Community Center bowling shark, for this item. I don't see any bars or Coney's in the picture.